Bacancy Technology today announces the 6th anniversary of the company’s founding and the launch of a new corporate website and brand identity in support of its growing web presence. From the humble beginnings in 2011 when it was founded by Managing director & CEO Chandresh Patel and CTO & President Binal Patel, Bacancy Technology has grown by leaps and bounds, and we are now a formidable player in the IT Industry around the globe. Right from inception, the leaders held quality and excellence as its primary focus in serving the clients around the globe, and that is apparently visible today in the vast repertoire of international clienteles that we have amassed till now. With accolades like “Best Mobile App Development Company in Ahmedabad” and “Top developers” in 2017 by Clutch and other Accolades India 500 most promising IT companies, bear witness to our enormous growth, since the launch of 6 years back. We’ve come quite a long way in 6 years. So, to add a dash of modification and especially beautification of our top-notch IT development services, we have revamped our existing website. Our new website is fully responsive and ready for all shapes and sizes of smartphones and tablets. The project was undertaken by Dhaval Patel, one of the lead designer as well as software developer. Needless to say, Bacancy Technology is so happy to have him on board! Yes, it is completely a team effort. 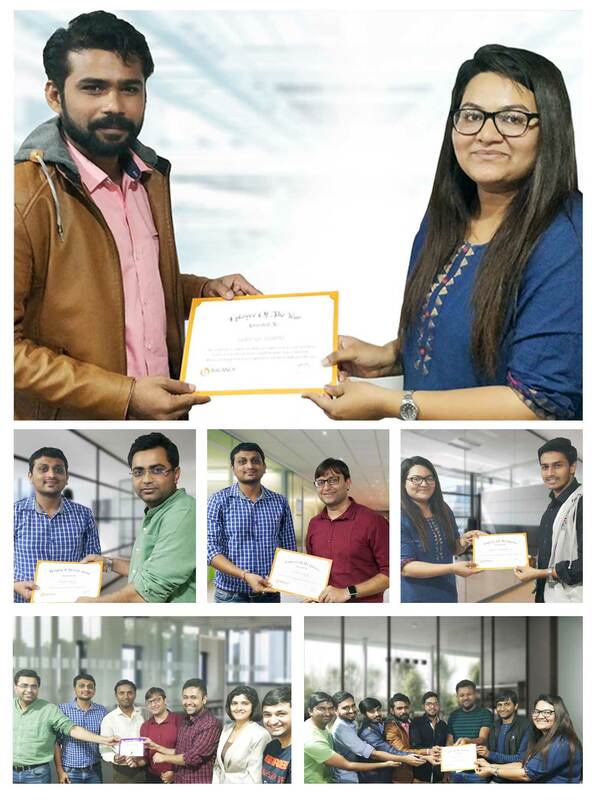 The truthful information, content was written and proofed by Riken Solanki and most innovative ideas was formed and implemented under the supervision of Kush Patel, Digital Marketing head and Managing Director and Agile Coach – Chandresh Patel. Please take a look at the website link below! 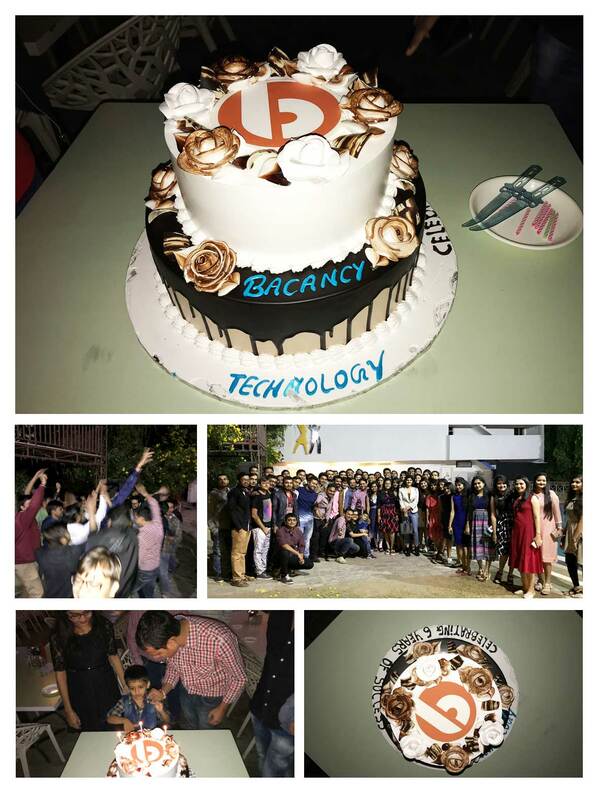 Just like every year, Bacancy Technology’s 6th anniversary celebration started with the Managing Director Chandresh Patel’s motivational and achievement speech. He took the stage and showcased an interesting presentation of month-by-month growth and how the organization has taken a huge leap forward, right from the Inception. 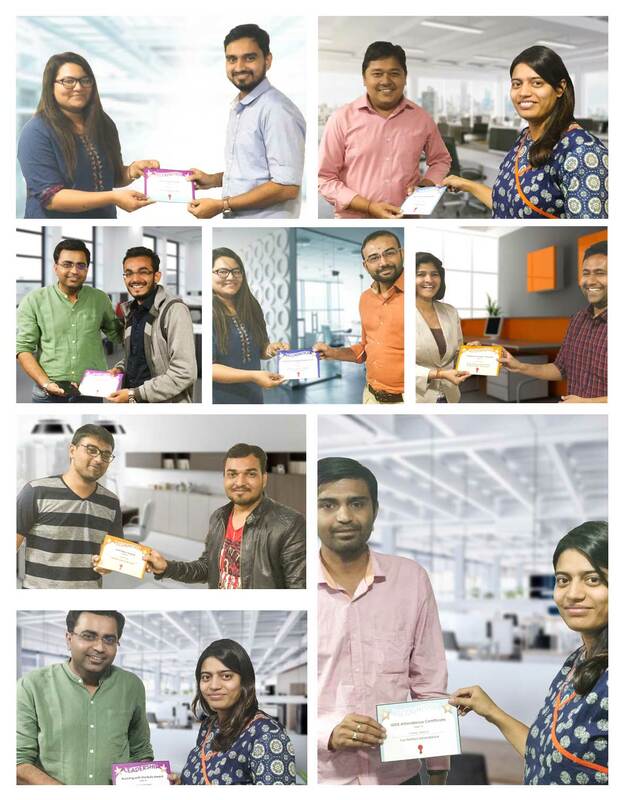 It was all about celebrating the team’s efforts and recounting the milestones Bacancyer’s have achieved together. Every year we wholeheartedly participate in organization anniversary celebration and just like every year this was no different. Many Bacancyers were not part of the organization when Bacancy Technology was started back in 2011. However, each of the members shared the same spirit of achievement as if it was their historic journey. Post excitement is still on in the premises and the sense of pride and enthusiasm amongst the team members can still be felt. Karan Vyas, the anchor for the evening pulled off one heck of a show with his humorous, impromptu and satirical anchoring. Each of his punchline made every Bacancyer choked into laughter. Later on, continuing the evening the organization recognized the talent and awarded the stars of Bacancy Technology with the nomination of Employee of the Year, Employee of the quarter and a special Recognition award to our Digital Marketing Head. A HUGE CONGRATULATION TO ALL THE WINNERS. Every Bacancyer, all dressed to the nines to switch gears to start the DJ party. Nerds became the rock stars and descended to the dance floor to show some cheeky moves on the tunes of DJ followed by a sumptuous dinner. The foundation day will be truly cherished in the hearts and minds of each Bacancyer for the years to come – stepping into our 7th year!